JAN CRAWFORD is a Vancouver artist with an extensive creative background. As a printmaker and painter, Jan's work reflects environmental issues in BC. A series of six prints has been published in a book titled Nexus: Histories and Communities. These six large prints, entitled The Packing House Series, speak to the disappearance of the Okanagan identity. By incorporating brightly coloured vintage fruit labels with archival photographs from museums, these prints have become records of a faded cultural identity. They are a significant contribution to the heritage of the Okanagan region of British Columbia. Currently Jan paints in acrylics and continues to explore subjects related to identity and environmental issues, especially those affecting British Columbia. She maintains studios in North Vancouver and at her Penticton orchard. Jan is represented by Malaspina Printmakers in Vancouver and the Lloyd Gallery in Penticton. She is a member of the Federation of Canadian Artists and donates her work annually to various galleries and arts organizations, including Arts Umbrella, the Kelowna Art Gallery and the Penticton Art Gallery. 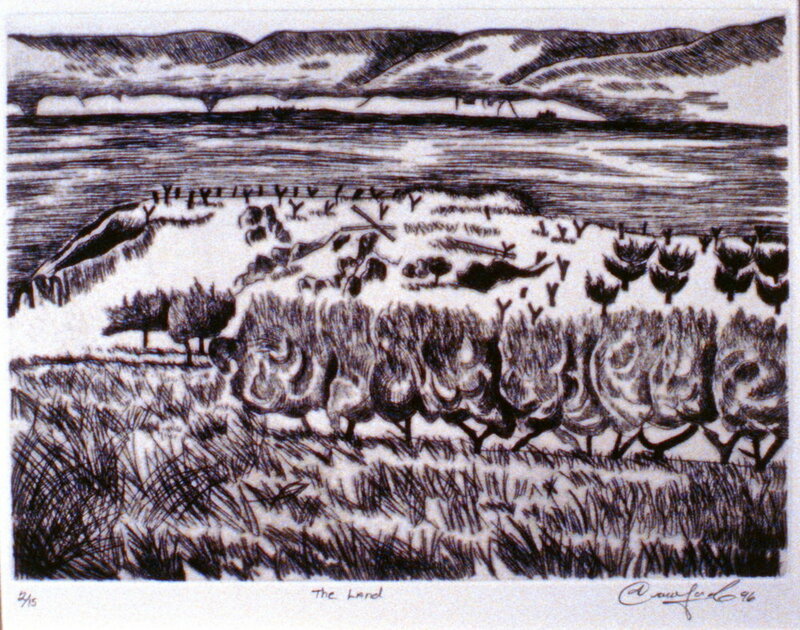 The Land, 1996, Jan Crawford, etching, edition 2/15, 20 x 27.5 cm, 1997.03.01. Gift of the artist. 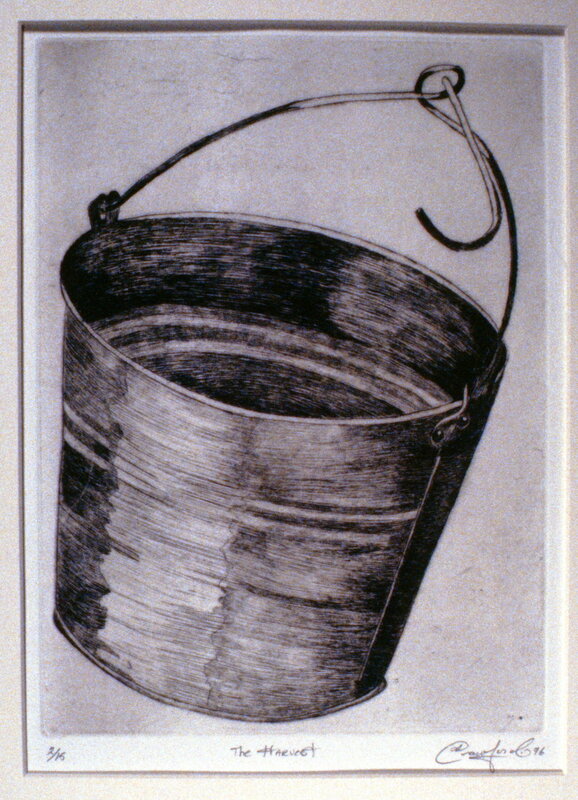 The Fruit, 1996, Jan Crawford, etching, edition 2/15, 27.5 x 20 cm, 1997.03.02. Gift of the artist. The Harvest, 1996, Jan Crawford, etching, edition 2/15, 27.5 x 20 cm, 1997.03.03. Gift of the artist.